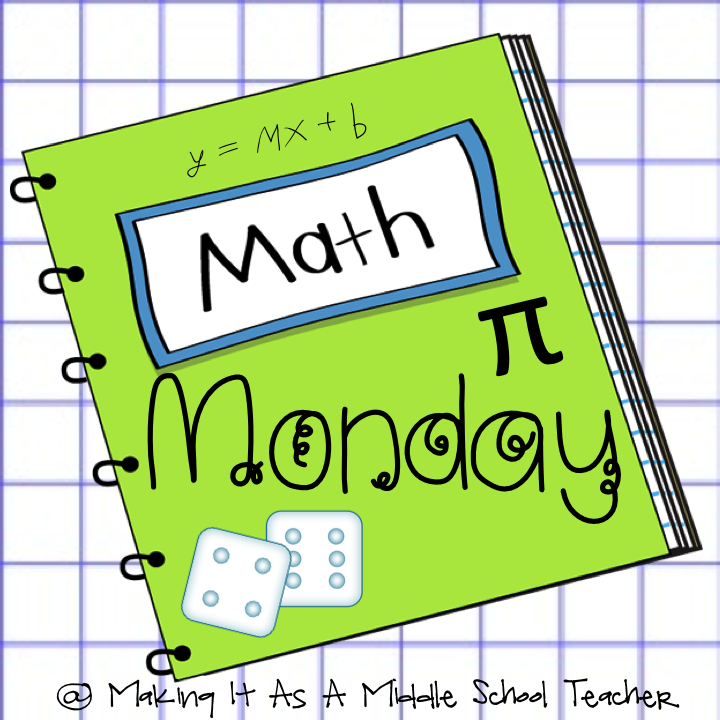 Math Monday here on Making It As A Middle School Teacher got a little facelift. Remember this? I felt as though I needed something more inclusive for those weeks I want to share non-game related math ideas. Yes, I have some of those, too. Believe it or not. 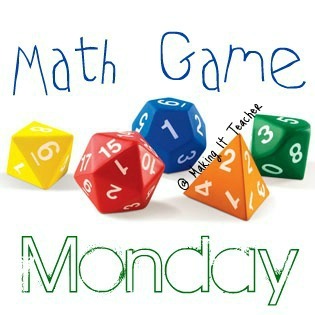 However, this week is ALL about a great new 3-D math adventure game that I was recently introduced to. You are going to LOVE it! Stayed tuned till the end for the giveaway information. So here it is! Pi and The Lost Function from AT&LT Games! Pi and The Lost Function is a 3-D algebra readiness adventure game that intervenes when it detects students are struggling with specific math skills. 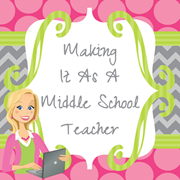 I absolutely love the fact that this is geared towards the students we teach! It's not a program that has been retrofitted in an attempt to appeal to middle schoolers. Even the graphics and the characters are age appropriate and will be easy for adolescents to identify with! When you look at the press release a little further down in this post, you'll recognize some of the top-notch writers on this project. How cool is that? But writing is where the story ends, unfortunately. That's where you come in! AT&LT Games is looking to add voice-over to the high quality video images. You'll hear about the educational advantages to that in just a bit. Here's a video to help explain it all. Click here to read more about the Kickstarter program. Be sure to read all the way to the end to see lots of awesome screenshots from Pi and The Lost Function. They make me want to play NOW! You'll also see several quotes from teachers who have already had a chance to use the program. If you are able to contribute, even at the $1 minimum level, you will be helping out a wonderful cause! We all want students to be more engaged, right? Many of the levels even include a free download of the game, t-shirts, and more! We also want our students to have fun while learning. Wesley enjoys the humorous storyline while playing The Lost Function. The game’s intriguing storyline is written by Lee Sheldon (writer for Star Trek: The Next Generation, Charlie’s Angels, and Cagney and Lacey) and two-time Telly Award winner and Emmy winner, Graham Sheldon. Another high mark for this program is that students aren't just left to "play" at their computer station. Pi and The Lost Function allows teachers and tutors to assist students when needed. Math Tutor, Ellen Clay, assists a student with graphing on the coordinate plane as he plays The Lost Function. Teachers and tutors often use The Lost Function as a supplemental classroom tool that goes along with their instruction. 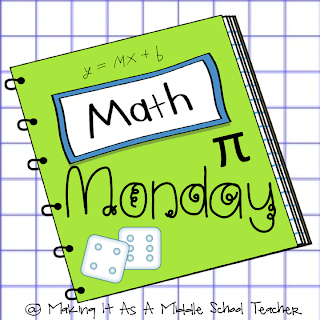 Lastly, students will be presented with real-world, authentic math situations to solve as they take on the role of the main character, Pi. Wesley encounters a character with a real-life mathematical problem. She must help Troy, the veterinarian, with his dilemma. Virginia Beach, Virginia – July 30, 2013 – ATLT Games, creator of the math educational game Pi and The Lost Function, has started a Kickstarter campaign to add voice acting to its currently text-based storyline to help learners with special needs. The campaign begins on July 29 and ends on August 27. Pi and The Lost Function is a 3-D algebra readiness adventure game that intervenes when it detects students are struggling with specific math skills. Currently, the storyline is text-based, and ATLT Games would like to add voice acting to the 3-D characters to assist learners with disabilities. To add voice over technology, the Kickstarter campaign will help raise the $41,223 needed for the technology addition. Kickstarter is an online funding platform that has funded many creative endeavors by allowing supporters and fans to financially back projects before the creation of the product, promising its investors rewards of varying levels. To support the Pi and The Lost Function Kickstarter campaign, visithttps://www.atltgames.com/kickstarter/. The addition of voice over will help students with vision impairments, emotional/behavior disorders, dyslexia, autism, ADD/ADHD, struggling readers, and English as a second language (ESL/ELL). The game’s intriguing storyline is written by Lee Sheldon (writer for Star Trek: The Next Generation, Charlie’s Angels, and Cagney and Lacey) and two-time Telly Award winner and Emmy winner, Graham Sheldon. Advanced Training & Learning Technology (ATLT Games), LLC was started in 2010 with a mission to develop innovative educational technologies. Our current line of products enhances and improves student performance by combining the power of gaming technology with subject matter content that is aligned with the Common Core State Standards. Our educational games provide students with various learning modalities and include instructional support tools that reduce workload for professional educators and allow for better classroom differentiation. If you'd like to keep up with AT&LT Games and Pi and The Lost Function, you can find them on Facebook and Twitter. AT&LT Games has graciously provided me with a Validation Key Package which includes a license for the game download and single student use to pass along to one of my readers. The contest will run through midnight on Wednesday, August 7th. I will post the winner here. You will have 3 days to contact me with your e-mail address or I will select another winner. Thanks and good luck! Also, please spread the word to your friends who would be interested in winning the giveaway or in finding out more information about this program. What a fantastic program - I think Kickstarter is an interesting way to raise money and it has been very successful for a variety of projects. Great idea! I hope that it gets the kickstart it needs. I know how engaging software is for students of this age. 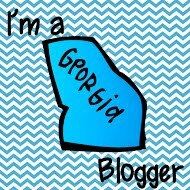 I use GSP and Gizmos with my sixth grade gifted students. I am sure they would love this program too! Hopefully it gets all the funding it needs! Wow! I checked out that program a little further! RIght now I am lost for words to describe how exciting it is and how awesome it would be to have in my classroom. I am a new teacher and know I get 4 computers for student use IN MY CLASSROOM!!!! Thanks for being so gracious! I haven't seen this software before so I am glad to read your review. This is a great giveaway and I would love to win. This looks like an awesome way to reach students at their level...I love the pic where the teacher looks as engaged as her students! So amazing! I like the screenshot with Pi solving a real-world math problem with the bus tickets. I just started in a self-contained functional life skills program where we get to go out into the community and apply the skills we learn in class to real-life situations. This software would be perfect to use as an additional supplement! This is very cool, thanks for sharing this! My little brother has been struggling in his math class this year and he has been having a really hard time doing some of his homework. Although we have always been a fan of some of these programs, he really needs personal one-on-one interaction, so we have been looking at getting a math tutor in San Jose so that he can do better in his math classes and be able to move onto the next grade level. the law of thermodynamics is perfect and suits here. for business issues it is true.Passbeemedia i am thankful to you for such a lovely post here.This is a good lesson to remember . clash of clans cheats are available here and I know clash of clans hacks are available online. Your question solving first time i see and it's really easy thanks for share it chemical engineering personal statement . Thanks for this website of pokemon go coins hack online. I just hate Math when i was in school. Glad to hear that the fills are going well! It sounds like such a crazy feeling. Good luck back at work tomorrow. Amazing blog, i find here pretty and knowledgeable post here thanks for share that.